Imagine having to shut down your entire workplace indefinitely, without warning. It’s a frightening prospect, but something many business owners have to face when asbestos is found on the premises. It’s estimated that over 500,000 buildings in the UK contain asbestos; commercial, industrial and public. That’s a lot, enough to take seriously. And no business is safe, as we saw from the high profile case and whopping £1 million fine against Marks & Spencer in 2011 for failing to protect staff and customers during a refurb which potentially exposed asbestos. 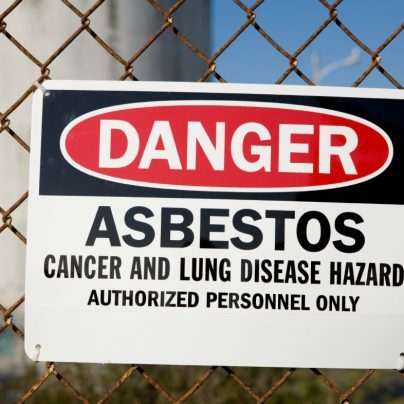 The real blow to business comes from not having a proper asbestos management plan in place. Without careful preparation businesses are taken by surprise, they stay shut longer, fines are higher, negative publicity is more likely and above all, the health risks are greater. We highly recommend business owners take a few steps to insure against the worst. Firstly, to undertake an asbestos survey; to identify possible asbestos-containing materials (ACMs) on your premises. And then – if asbestos is found – to develop a detailed management and communication plan to minimize risks, costs and damage. Once the surveyor has completed the material assessment, your next step is carrying out a strategic risk assessment. You’ll determine which of the materials found are high risk and pose a potential threat if disturbed. And all the related factors, like the potential of human exposure, the level of occupancy, maintenance activity and any other risks of disturbance. With an asbestos management plan you can more easily control some of these factors, such as maintenance which might disturb it. It’s often maintenance work carried out with no knowledge of or plan for asbestos which gets a company into a whole load of legal trouble. And of course the key part of your management plan will be how to seal or enclose the ACM, or repair or remove it. All in the safest, most efficient and cost effective way. Just the word ‘asbestos’ gets alarm bells ringing in people. And one of the most important parts of your ACM management plan is how you communicate the situation to everyone relevant; everyone using the premises. Proper awareness and understanding are key. A sign up on the affected area might cause panic, whereas a meeting – where it’s carefully and gently explained in detail – is more likely to have a calming effect. With the Marks & Spencer case a lack of clear communication was one of the main reasons for the whole situation blowing out of hand. And sorry if this is obvious, but we have to mention: it’s simply not worth ever cutting corners when dealing with asbestos. 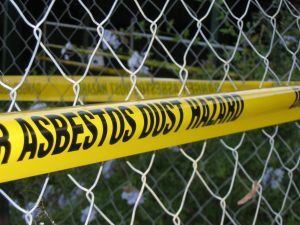 If you’ve identified some on your premises, and are able to effectively develop a careful plan of action, then you’re already saving yourself from a great deal of expenses and problems which a surprise asbestos discovery would throw up. You can’t be too thorough in carrying out the necessary work. From educating yourself on all aspects of dealing with ACMs, to taking detailed photos of all ACM areas, and even checking the competencies of any external contractors you hire to deal with it. Follow best practices to resolve the whole situation effectively and safely. And your business will be just fine. Worried about Asbestos in Your Property? Think there may be asbestos lurking in your building? Or perhaps you’d like some extra guidance to minimize the risk of it ever happening? Either way, get in touch with us today – and we’ll offer our wisdom and assistance. And don’t forget to comment below with all your asbestos-related fears, stories and thoughts!